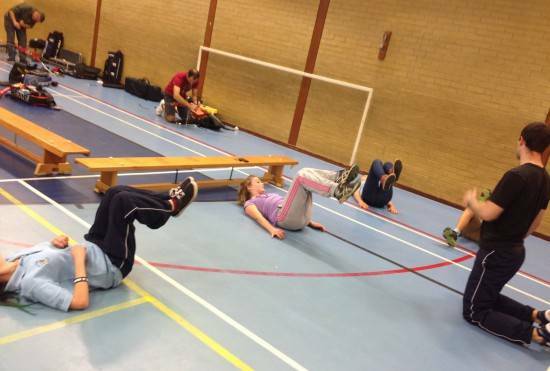 Winter Programme signals an increase in activity and more great achievements! The end of the outdoor shooting programme can sometimes see a reduction in club activities and in a year when we have practiced so hard, run so many community activities and achieved so much success both on and off the field of play then we would have an excuse for doing so! The nature of our Club of course, would not allow that to happen, we have a lot of fund raising to do, a lot of members to support achieving their full potential and large sectors of the community expecting us to deliver! We will not be disappointing anyone and here are a few things to celebrate and support the continued development of the club and our sport. We need to keep developing if we are to maintain all 3 Ontarget Specialisms! We are pleased to announce that we have successfully bid for funding to support 2 projects which will pave the way for higher levels of participation for those in our community with a range of disabilities (both physical and learning, adult &junior). This will be achieved by running numerous have-a-go sessions, running targeted beginners courses, training new and existing coaches, developing pathways to support those that aspire to shoot in the Paralympics as well as developing a structure of clubs for those that would just like to participate and access the social and health benefits of our sport. Also purchasing specialist equipment and developing a level of accessible expertise to support a greater range of disabilities. 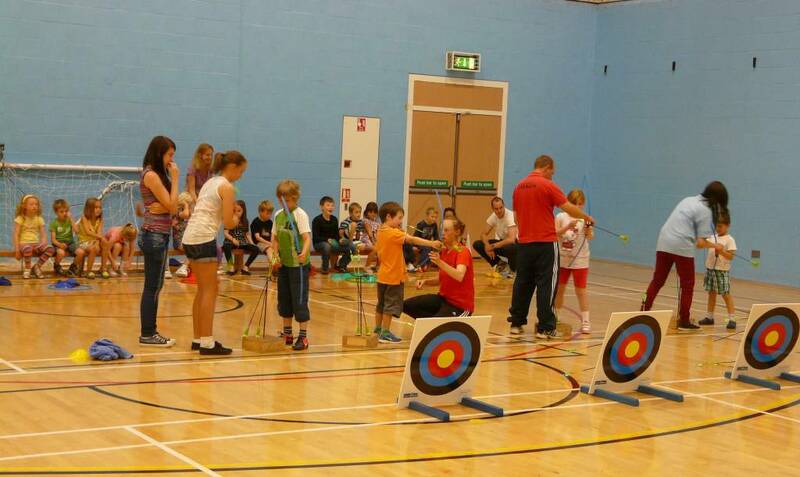 On October 1st we also formed our own Archery GB Inclusion Club! We will run a flag ship event in 2014 running a British Record Status FITA18 competition focused on those with disabilities and boost the profile of our sport and the opportunities it offers to all abilities! As a Big Lottery Fund grant recipient we can now display the following logo! 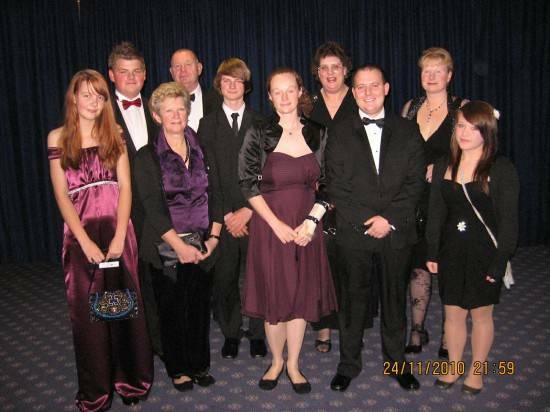 ‘Awards for All’ – Lottery Funded Project. ‘On Target for the Gloucestershire Community’. Through partnerships with Active Gloucestershire and specialist community groups, to create healthy participation and community engagement opportunities for young people and adults. This project will use archery as an engagement tool to provide opportunities for disabled people to meet ,engage and interact with each other on a regular basis. It will also fund the development of a larger pool of coaches and equipment to ensure the initiative is sustainable. We are very grateful for the £9,710 that we have received to support this project. This project is seeking to increase participation levels in Gloucestershire, to develop coaches and clubs equipped and confident to support the increased interest. 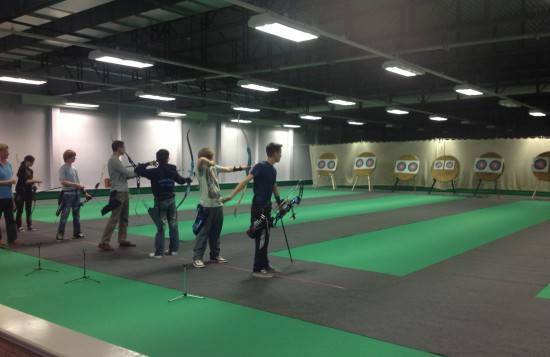 This project will also seek to develop pathways to support participants who aspire to shoot in the Paralympics! It will also seek to develop a support network within the County to share experiences, provide practical advice on equipment, organize competition and promote the opportunities available. We are very grateful for around £7000 that we have received to support this project. Amazing response for entries from across the County! The afternoon session is now full, just a few places left in the morning session. We will need a bigger venue next year. The GL1 Venue is a hit! 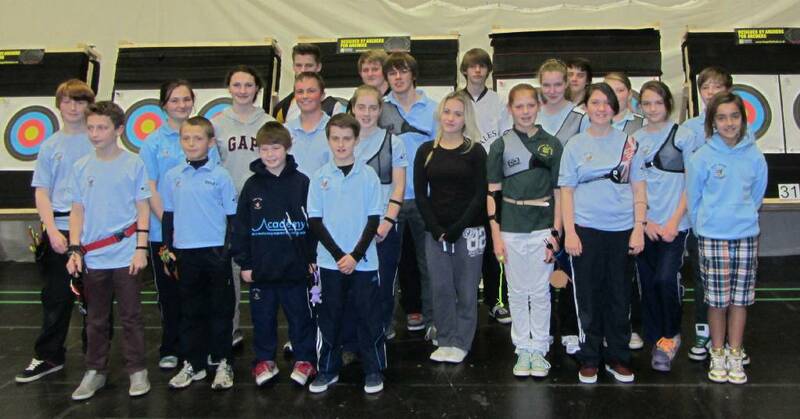 We used GL1 (Gloucester Recreation Centre) for the first time this week, we can shoot at 20, 30 or even 40yds! They have provided us with an adjacent storage area, so no bosses, nets etc to transport. We simply lay the roles of carpet which the centre has provided on the Bowls area. To ensure this facility is viable we need to build up attendance levels to match all the other venues. GL1 is our additional indoor facility! Venue booked, in previous years this has been a fully subsidized event, with free food and entertainment. This is a real opportunity to help raise funds towards our new ground so some cost will be involved. We would like to see all 200 members and their friends/family come to the event. The usual Beetle Drive will be replaced with a short fun Bingo session (prior to the awards) with some really good prizes. There will be something for all ages to do, this will be a family affair! Practice session Information – Indoor Venues – This will average out at 18 hours indoor shooting per week! Note: Specific Practice session Information communicated via Club Newsletter. There is a target fee of £3:50 (reduced for 2 or more from same family) and this covers members to shoot at as many venues as they like during that week. Amazing value! Saturdays – Balcarras – Inclusion Club from 2pm. 4pm onwards trainings, workshops, squads etc, evenings general club. Finish 9pm. Sundays – Balcarras – From 9:30am until 1pm or 4pm depending on programme. Tuesdays – Shurdington Centenary Hall – 2 sessions 6:45 to 7:45pm and 7.45 to 9pm. We are operating a booking system email marycrang@aol.com for this venue. Wednesdays – GL1 Gloucester Recreation Centre, a new venue (20 yards). Club from 7pm. Community from 5pm. An outstanding performance by all those that entered this Archery GB organized competition, 16 top 3 finishes (Will receive Salvers from AGB) including 9 members finishing first! This is by far the best performance of any club in the UK! As part of the clubs drive to help all members reach their full potential we have arranged a number of sessions with a top sports psychologist (www.headforawin.co.uk). Over the indoor season there will be a number of psychology sessions run for different target groups in the club, including coaches, parents, adult members, juniors aspiring to reach the top and the top performing junior members. Session with Parents on Managing Expectations and how they can best support juniors. Matt our Fitness & Conditioning Coach from Excelsior will be working with our new juniors on the Archery GB Talent Programme and we will take the opportunity to introduce you to some more warm up routines. Matt will also be available to discuss any personal fitness issues with all members. This is an ongoing programme which the club supports throughout the indoor season. A surprise visit from Matt at the second indoor session to develop some new warm up routines and to check out some individual levels of fitness! The club has been nominated for 2 awards in this prestigious annual competition. The Junior Team of the Year and the Community Club of the Year. We will be informed around the middle of October if we have been short listed. I am totally biased I know, but due to all the hard work and commitment of our members, both applications are exceptionally strong! Group from 2010, we have won the Gloucestershire Club of the Year for the last 3 years. Can we make it 4 years? The Club/Members received a couple of cash injections this week. We applied for additional £540 funding for coach training to support three of our members attending the Level 1Course. We are grateful to active Gloucestershire for their support and they also awarded us another £140 in recognition of some of our members registering as Sports Makers, this money is to be used for development of members and coaches. The date will be either the 27th of October at Lilleshall in the Sutherland Hall against Norton Archers, shooting a format of the 50m Round. 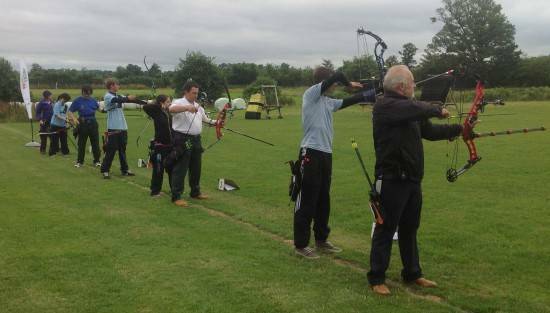 This is not just a chance to win a competition, more importantly it is a chance to help Archery GB promote an event which all Ontarget Clubs should be supporting in 2014. Pairs competition during our semi-final win away to Frome Town Archers. Due to the number of our juniors entering, the Club decided to hire a coach and there are just a few places left, 11am departure to the Ricoh Arena (Coventry). As the afternoon session has now been filled members entered in the morning session will need to make their own way there. Last years team, more entries this year, so travelling in style! The league has started again, so Steph will be chasing all 73 junior members to record scores. Again we need to support the Region in running this programme. The new section for 5 – 7 year olds has been agreed. A team of coaches and volunteers has been formed, a programme is being developed. The response to the idea has been slightly overwhelming, with 3 strong possibilities emerging, a direct club group, a group hosted at a local recreation centre and a large local primary school has requested the club to start a section as part of an after-school club. In an ideal world we would go with all 3, however we do not want to overstretch ourselves, so decisions will need to be made. There is a committee meeting this week, so watch this space. Bambies Pilot supported by young coaches and volunteers.